Politicians both sides of the border are fond of extolling the virtues of family values, often without taking time to understand the complexities of modern relationships. 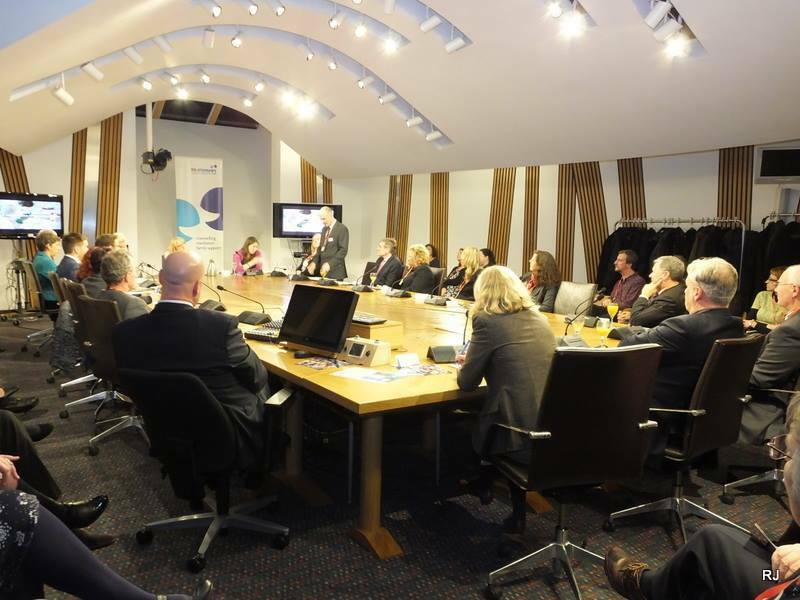 MSPs at our recent Parliamentary event instead chose listening and learning with third and public sector partners to ensure we put positive relationships at the heart of Scotland. Here in Dumfries and Galloway we have a quieter buzz than the city but the problems experienced by couples and families are similar to those experienced throughout Scotland. Our service does not generate the high profile attention given to front-line crisis agencies. Part of our role is preventative, aiming to address the chronic problems before they reach the acute stage. Counselling and family mediation sessions offer a safe, impartial space in which to explore what is going on and why. Our child contact centres facilitate meetings between children and parents when communication has broken down. We see clients at one moment in time, a bad moment. We work with them on their issues in the hope that any good we do will have a positive impact on them, their children and their family in the future. We do not always succeed. The most important component of success is a commitment to change which can be very scary. Part of our skill is to encourage the gradual dismantling of a person’s fundamental defences so that new, more positive ways can be explored. We often tell clients, we are right out of magic wands at the moment but together we will try to come close to making a wand for you. Both counselling and mediation provide the safety of confidentiality and objectively. So often people are bearing burdens from the past, letting mistakes and regrets contaminate the present. We can help to unpack and unravel so the burden is lighter, giving more energy to deal with the concerns of the here and now. As a client puts it: “It’s taken us from a point where we were close to breakdown to where we both feel we’ve recaptured many of the good things in a relationship. We both now feel very positive about the future”. We see people from all walks of life. We collaborate with social workers particularly with clients presenting with mental health concerns. This is becoming an increasingly frequent issue. We have a major project at the moment working with adult carers where we have received very positive feedback. We will be working shortly with people affected by prostrate cancer. There are recurrent themes typical of modern life such as couples struggling with young children, job worries or arguments over money. And of course there are the perennial issues of infidelity, jealousy and sexual problems. Relationships Scotland’s Scottish Parliament summit was timely as we come into winter, the Scottish season of melancholia, the peak time for relationships being tested to the limit. The season of good will can be just the opposite with people running out of spare energy and hope. Our three services of counselling, mediation and child contact centres are a constant reminder to us of the circular nature of family structure and dynamics. A person’s childhood experiences, positive or negative will shape their approach to relationships and parenting. This in turn influences their own children’s choices. We see what happens when parents quarrel and separate. Mediation can offer a chance to consider other options and can help with the practical issues. Reconciliation may not be possible but we would hope to achieve a non acrimonious agreement. If agreement is not possible the child contact centres play a part in keeping both parents in touch with their children. We’re here to make sure that positive relationships are always at the heart of Scotland. Anonymous quotes are from client feedback forms.